This interrupted case is based on the author's own personal research on the fragile prickly pear cactus in Stearns County, Minnesota. The data described is a product of the work of several undergraduate students at St. Johns University, which partially funded this research. 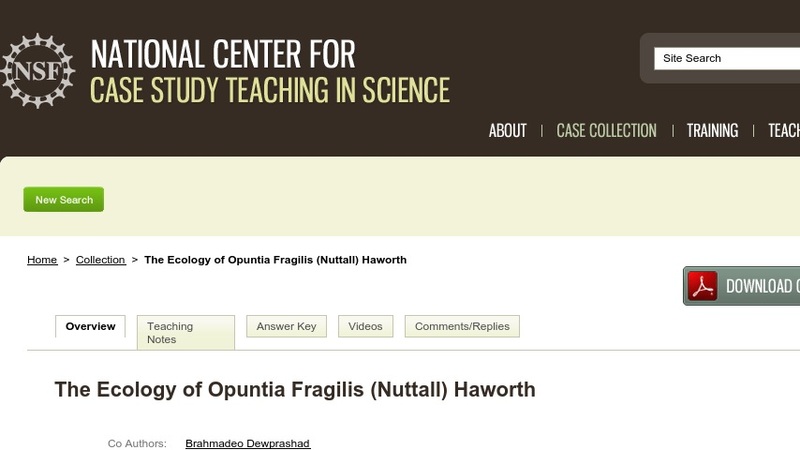 By simulating the process of doing science through its progressive disclosure format, the case encourages students to think about plant population ecology from an actual research perspective. The case can be used in an introductory biology or botany course, and with slight modifications in an upper-level plant ecology course.